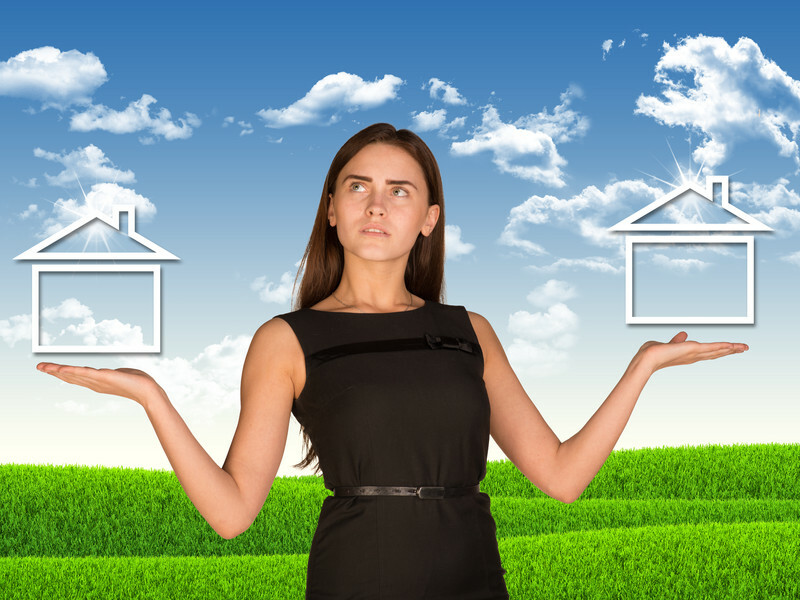 This article examines a variety of ways in which a homeowner can buy a house before selling the one in which she lives. A homeowner who wants to exchange the house in which she lives for another one that better meets her current needs and capacities can save herself much grief and expense by buying the new house before selling the old one. Buying the new house first means having to move only once instead of twice. The downside is that financing a house purchase when you already own a home is more difficult. Coping with these difficulties is the subject of this article. When a homeowner applies for a mortgage to purchase another house, since the borrower can permanently occupy only one house, the practice is to view the purchased house as the borrower’s residence, leaving the existing house as an investment property. Investment loans are riskier than loans secured by a permanent residence. Since the applicant for a new purchase loan is viewed as having a risky investment property, the payment reserve requirement – the number of months of monthly payments the borrower must have in the bank at closing – is higher. Further, the expense-to-income ratio used to assess the borrower’s ability to make future payments will include the payment on the existing mortgage as well as the payment on a new mortgage. For these reasons, the purchaser may find it difficult to qualify for a loan from a traditional mortgage lender, which raises questions about other potential sources. If the borrower has a 401K retirement account and her employer permits loans against it for the purpose of buying a house, which most do, this is a low-cost and usually a low-risk way to finance the home purchase before selling the existing house. It avoids collateral and affordability issues because no lender is involved – the borrower is lending to herself. The cost of borrowing against a 401K account is the earnings foregone on the amount borrowed, which is no longer earning a return. The risk is that if the borrower loses her job, or changes employers, she must pay back the loan in full within a short period, often 60 days. If she doesn’t, it is treated as a withdrawal and subjected to taxes and penalties. While 401K accounts can usually be rolled over into 401K accounts at a new employer, or into an IRA, without triggering tax payments or penalties, loans from a 401K cannot be rolled over. If you have a binding contract of sale on the old house, and a bank with which you have a history, a bridge loan is the way to go. A bridge loan is used to provide funds needed for a short period until another source of funds becomes available. In the home loan market, a bridge loan, sometimes called a "swing" loan, allows a home buyer to close on the new home purchase before closing on the old home sale. I used an unsecured bridge loan on my last purchase, and it was relatively simple and hassle-free. While the rate may be high, the interest payment won’t amount to much because the period covered by the loan is short. Banks aren’t crazy about bridge loans because they realize they are one-shot affairs and they are unlikely to see the borrower again unless the borrower is already a customer. For this reason, you should go to the institution where you currently hold your household deposit, and let them know (in a polite way) that as a customer, you expect this service. If you don't have a binding contract of sale, you can’t get an unsecured bridge loan, but if you have significant equity in the house, and if the house is not yet listed, you can probably get a home equity line of credit or HELOC. With a HELOC, you can draw the amount you need to close on the new house, subject to a maximum draw. If your old house is listed for sale, however, a HELOC may not be available. Lenders are not much interested in a deal that will last only a few months. If they go ahead on a home that is listed for sale, there likely will be a cancellation charge, and you may have to pay closing costs that they ordinarily waive to attract new customers. The aftermath of the financial crisis included large numbers of foreclosed homes placed on the market, most of which required work to be habitable. In response, large numbers of people went into the business of buying these houses, fixing them up, and reselling at a profit. They are called “house flippers”, and a wave of new lenders arose to finance them. Homeowner looking to buy before selling who are shut out of all the sources discussed above, can try a house flipper lender. They would not be interested in the permanent loan on the new house, but they might be willing to finance the purchase subject to repayment when the existing home is sold. The price will be high, but that matters little when the period is short.